The unaccountable influence of MI5 on covert policing in Northern Ireland coupled with the NIO’s deliberate attempt to circumvent proper scrutiny of the actions of the security services has created a `disaster waiting to happen’, a new report into anti-terror structures has warned. The 100 page report: `The Policing You Don’t See: Covert Policing and The Accountability Gap’, has been compiled by the Committee on the Administration of Justice (CAJ) and looks at the role of MI5 since it was give primary control of `national security’ in Northern Ireland in 2007. 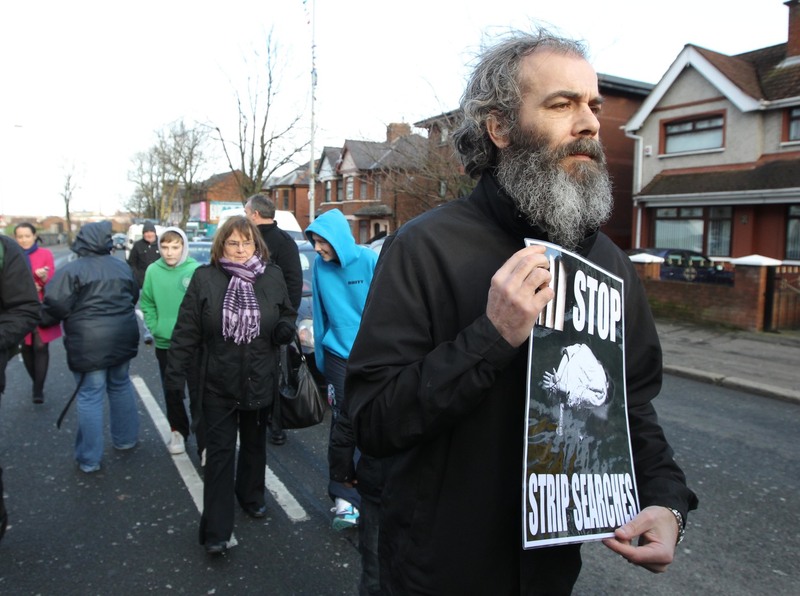 However CAJ director Brian Gormally has now called for an independent review into the activities of the security services in Northern Ireland after the human rights watchdog obtained documents which it claims shows a deliberate attempt to rollback accountable policing structures established as a result of the Patten reforms. “MI5 – secret, unreformed and unaccountable – is now running one of the most sensitive areas of policing,” said Mr Gormally. “This is a disaster waiting to happen to confidence in the rule of law and our peace settlement. In 2006 the British government gave a commitment during all party talks at St Andrews that there would be a series of built-in safeguards to ensure accountable policing in Northern Ireland following the signing of the Good Friday Agreement. Crucial to the future of policing in Northern Ireland was a series of reforms recommended by the Patten Commission. The commission, chaired by former NIO minister Chris Patten, advocated the establishment of published codes of practice for all aspects of policing in Northern Ireland, including covert law enforcement techniques, which it said should be compliant with the European Convention on Human Rights (ECHR). The commission also recommended the downsizing, deinstitutionalisation and integration of RUC Special Branch within the PSNI, stating that it did not regard it as healthy to have, in either reality or perception, ‘a force within a force’. However the CAJ report says that in contradiction to Patten’s vision for an accountable police force, what has emerged since the St Andrews Agreement and later in 2010 the transfer of policing and justice powers, is an alternative police force answerable only to NIO ministers, rather than elected politicians at Stormont. The report says that the safeguards promised at St Andrews in relation to the transfer of powers to MI5 have either been reneged upon or manipulated to dilute accountability measures. CAJ obtained a series of official NIO documents, using the Freedom of Information Act, which it says reveals the full extent of a deliberate policy to prevent proper scrutiny of the actions of the security services in Northern Ireland. “Limited additional accountably measures were promised in the St Andrews Agreement but some of the most significant commitments, to publish policy frameworks, have not been honoured. “Related policy documents, which have been released to CAJ under Freedom of Information, rather than being safeguards, actually appear designed to limit accountability. “This includes an NIO held document which contains a list of types of information (the) Chief Constable should not tell the Policing Board, even in confidential sessions. The policing reforms recommended by Patten were intended to end the power of Special Branch within the policing architecture. However CAJ say the unaccountable transfer of powers to MI5 has made it impossible to determine the security agency’s policy approach towards covert policing and whether or not it complies with human rights standards. It says that contrary to British government assurances at the time, the role of both the Policing Board and Police Ombudsman have been diminished by the transfer of powers to MI5. Despite its involvement in policing in Northern Ireland the Police Ombudsman has no powers to investigate a complaint against MI5. Assurances were given during the St Andrew’s talks that MI5 would give closed session briefings to the Policing Board, yet only three such meetings have taken place in the last five years. While then Prime Minister Tony Blair gave assurances that all PSNI officers would remain under the control of the Chief Constable and the Policing Board, the documents obtained by CAJ paint a very different picture. Little is known about the role or number of MI5 officers operating in Northern Ireland. 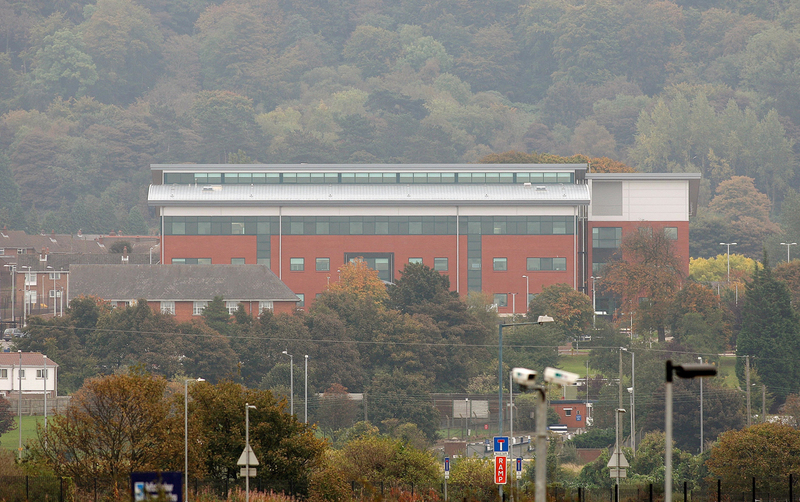 The agency’s headquarters are understood to be based at Loughside at Palace Barracks near Hollywood. MI5 publicly states that it dedicates 17% of its resources to the region which, if equated to overall staffing levels, means it has 600 officers in Northern Ireland, around three quarters the size of the old RUC Special Branch at the time of the signing of the Good Friday Agreement. Its most recent annual report provides information on what MI5 describes as its ‘successes and setbacks’ in Northern Ireland over the last five years. Among the successes MI5 claims is its role in the arrest of south Armagh man Michael Campbell who was arrested trying to buy weapons for the Real IRA in Lithuania in 2008. It also claims to have helped to secure the convictions of CIRA men John Paul Wooten and Brendan McConville for the murder of PSNI officer Steven Carroll in Craigavon three years ago and the jailing of Co Derry man Brian Shivers for the killing of two soldiers at Massereene Barracks in Antrim, also in March 2009. It lists its `setbacks’ as the acquittal of Colin Duffy over the Massereene attack (which the MI5 Director General Jonathan Evans lamented would be good for dissident morale) and the acquittal on grounds of entrapment by MI5 of Lurgan man Desmond Kearns who was facing weapons smuggling charges. HAS SPECIAL BRANCH JUST MOVED DOWN THE ROAD? 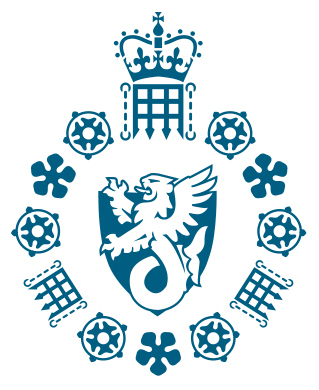 The report states that there is a growing belief that a significant number of former Special Branch officers simply moved en masse over to MI5 following the transfer of powers in 2007. The report said that it has uncovered evidence of a deliberate ‘rollback’ of the overall mechanisms which had been set up under Patten to ensure proper policing accountability. One of the first attempts to thwart any investigation of the role of the security services came in 2005 when the British government passed the Inquiries Act, which gave NIO ministers the power to withhold potential evidence from public inquiries. The Northern Ireland Human Rights Commission later claimed the move would make it impossible to hold truly independent inquiries. Last month a report by the Northern Ireland Audit Office found that hundreds of former RUC officers had been re-employed by the PSNI as civilian workers without proper scrutiny. Following the St Andrews talks the British government introduced two crucial Memorandums of Understandings (MoU) to ensure that Justice Minister David Ford and the Policing Board have no powers to scrutinise the actions of MI5. •	The devolved Minister of Justice and Northern Ireland Assembly have no responsibility for any PSNI functions (past, present or future) that have any national security dimension, with the Secretary of State having sole responsibility. • Police and Prisoner Ombudsman will report to the NIO Secretary of State on ‘national security’ matters; when the Minister of Justice or Policing Board set up a panel to adjudicate on misconduct by a police officer, if the case relates to national security information the UK government will decide what information can be passed on to the panel and, if information is withheld, whether the panel can be informed of that fact. The CAJ director said that the second memorandum, rather than being an effective safeguard to protect new policing structures, actually appeared designed to limit accountability. This included an NIO document listing types of information Chief Constable Matt Baggott should not tell the Policing Board, even in confidential sessions. “The documents we have discovered show an obsession with keeping anything with the label ‘national security’ secret from our devolved institutions and a total indifference to accountability,” Mr Gormally said. or future” national security to MI5 or the NIO. relating to MI5 without MI5’s authority to do so. 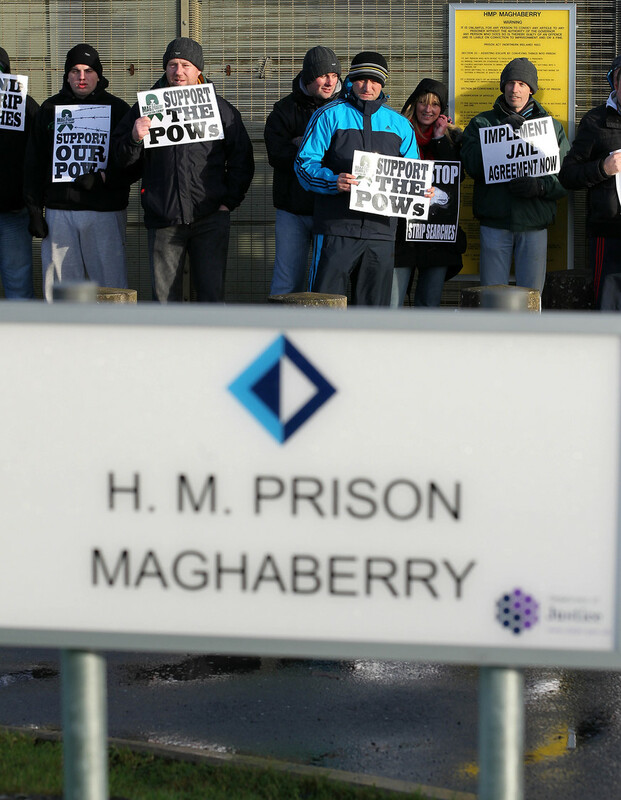 The CAJ report reveals that the NIO’s powers stretch beyond policing with control over parts of the Northern Ireland Prison Service (NIPRS) and Public Prosecution Service (PPS). While Justice Minister David Ford has control of the day-to-day running of Northern Ireland’s prisons, the report found that the NIO has control over `national security’ issues within the jails. Issues, such as the rules for who should be held in ‘separated’ paramilitary wings, surveillance and intelligence are retained by the Secretary of State. Prison staff who are deemed to be engaging in such ‘national security’ related activity stop being accountable to the devolved administration and instead become ‘officers of the Secretary of State’ and are only answerable to the NIO. The report also makes reference to a ‘developing relationship’ between MI5 and the Public Prosecution Service (PPS), due to ‘particular concerns’ the security service has that sensitive information revealing MI5 techniques may be exposed in court. A key recommendation of Patten was the establishment of a Commissioner of Investigatory Powers who was to have been tasked with overseeing the covert duties of the PSNI and other agencies carrying out policing functions. However while the position was established, it has only powers to oversee non-policing devolved bodies such as the Department of Agriculture and Rural Development (DARD) and health service bodies. While the CAJ director said that significant policing reforms have taken place he insists that the evidence exists of a worrying pattern of attempts to dilute the Patten reforms. “In addition to the transfer to MI5, this is manifested in relation to, for example, the `lowering of independence’ of the Police Ombudsman’s office during the tenure of the second Police Ombudsman, and the PSNI rehiring scandal. The transfer of further covert policing functions to the ‘National Crime Agency’ which government presently intends to insert into Northern Ireland with full policing powers and be accountable to ministers and not the Policing Board, would further entrench such developments.